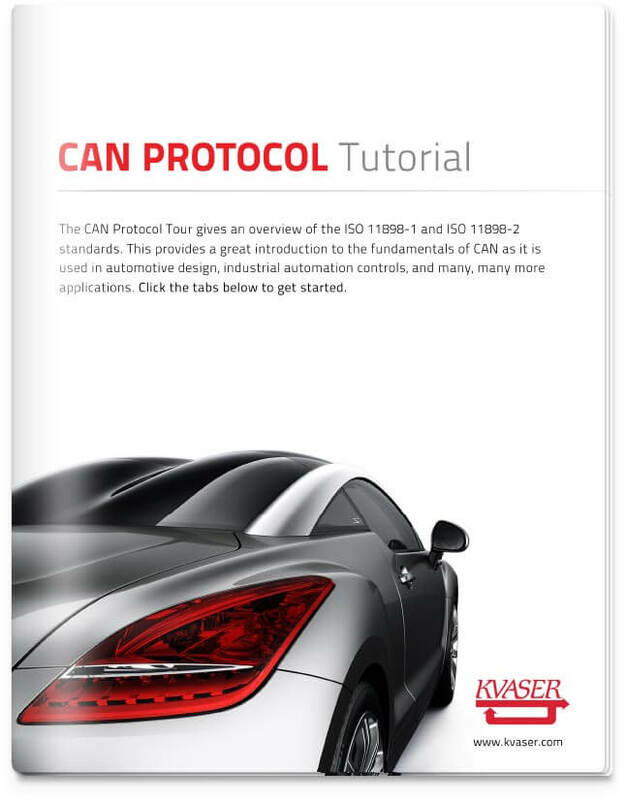 The CAN Protocol Tour provides a great introduction to the fundamentals of CAN as it is used in automotive design, industrial automation controls, and many, many more applications. The CAN protocol is a good basis when designing Distributed Control Systems. The CAN arbitration method ensures that each CAN node just has to deal with messages that are relevant for that node. A Distributed Control System can be described as a system where the processor capacity is distributed among all nodes in a system. The opposite can be described as a system with a central processor and local I/O-units. The CAN protocol is implemented in silicon. This makes it possible to combine the error handling and fault confinement facilities of CAN with a high transmission speed. The method used for distributing messages to the right receivers contributes to gaining a good use of the available band width. A common transmission medium is a twisted pair of wires. A CAN system can also work with just one wire. In some applications different kinds of links, optical links or radio links, are better suited. Though there is a transmission hardware standard (twisted pair), it is not uncommon to use different transmission solutions depending on system requirements. The error handling of CAN is one of the really strong advantages of the protocol. The error detection mechanisms are extensive, and the fault confinement algorithms are well developed. The error handling and retransmission of the messages is done automatically by the CAN hardware. A faulty node within a system can ruin the transmission of a whole system, e.g. by occupying all the available band width. The CAN protocol has a built-in feature that prevents a faulty node from blocking the system. A faulty node is eventually excluded from further sending on the CAN bus. The CAN protocol has been around for almost 30 years (since 1986). There are now a lot of CAN products and tools available on the open market. The CAN protocol specifies how to transport small packets of data from point A to point B using a shared communications medium. But in order to manage the communication within a system, a higher layer protocol is required.